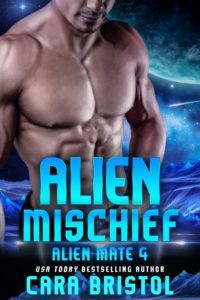 Alien Mischief is a standalone read in the Alien Mate series. Enoki, the hero, was in all the previous books. 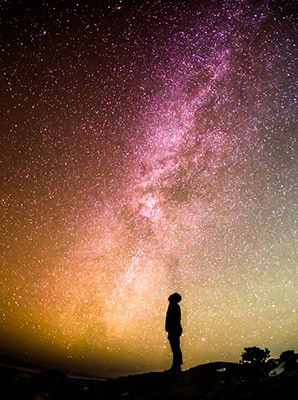 Madison Altman, the heroine, was a secondary character in book 2, Alien Attraction, and book 3, Alien Intention. 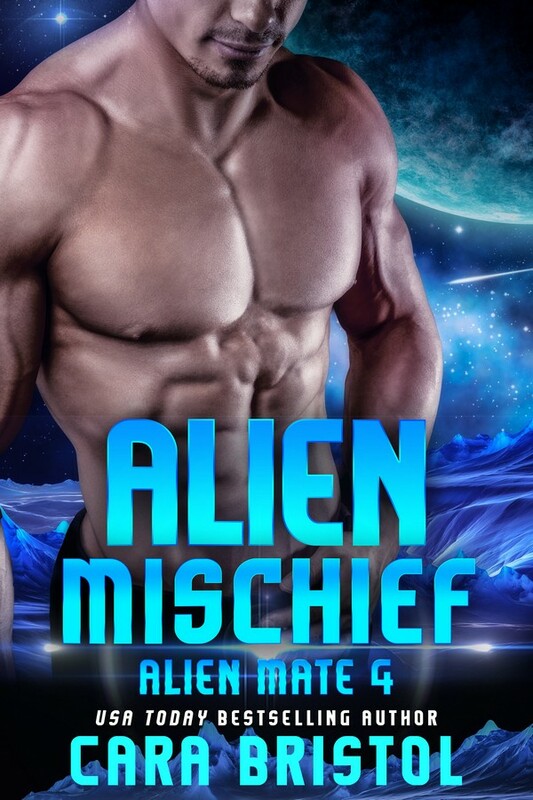 To get notified when Alien Mischief is available, you can subscribe to my reader newsletter. You’ll also get a free cyborg romance to read now!) 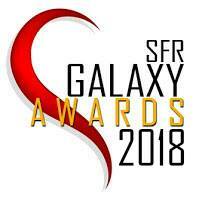 Get notified here. Falsely convicted, I’m sentenced to life as an alien’s mail order bride. 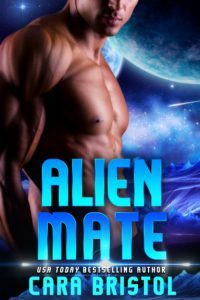 Alien Intention (Alien Mate 3) – this is a new cover, too! 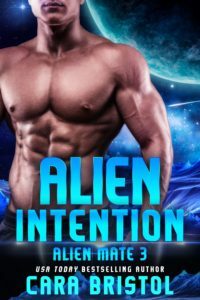 This entry was posted in Science fiction romance and tagged Alien Attraction, Alien Intention, Alien Mate, Alien Mischief, alien romance, aliens, Cara Bristol, cover reveal, fated lovers, friends to lovers romance, funny science fiction romance, gender bender, mail order bride, paranormal romance, reality TV shows, romantic comedy, science fiction romance, woman pretending to be a man. Bookmark the permalink. Love the blurb! It sets up a strong conflict. It’ll be interesting to see how you stretch it out, seeing that all she has to do to resolve it is lower her pants. Thanks! The blurb is a tad long, but I’m rather proud of it! Regarding her big reveal…I have a few tricks up my sleeve. Lol.